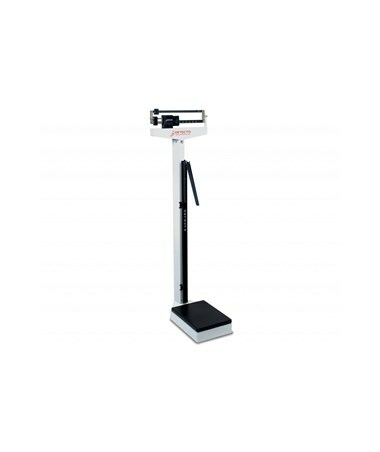 The 448 Eye Level Scale with Height Rod, Wheels, and Handpost is designed to be an easy to use durable scale. 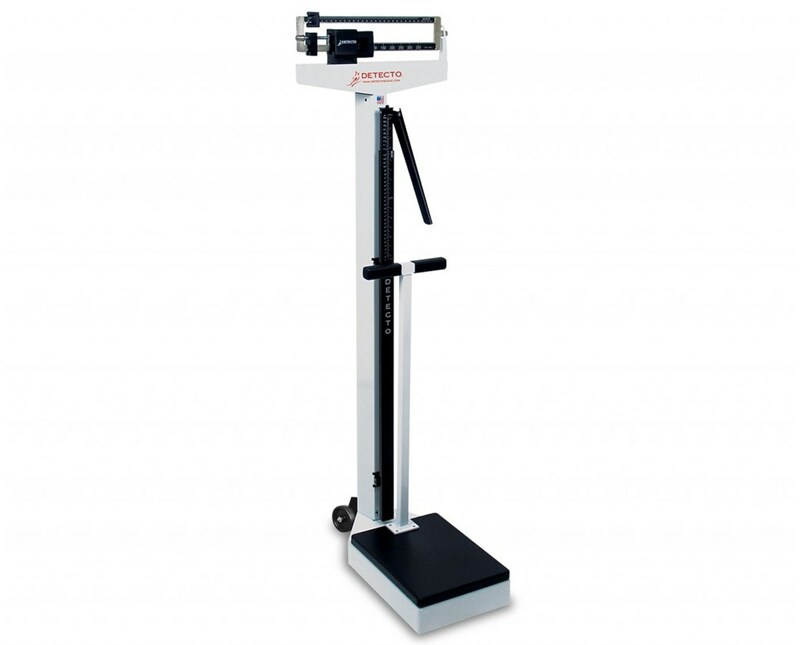 The scale is constructed from mild steel with electrostatic powder paint finish for optimum long-lasting quality. 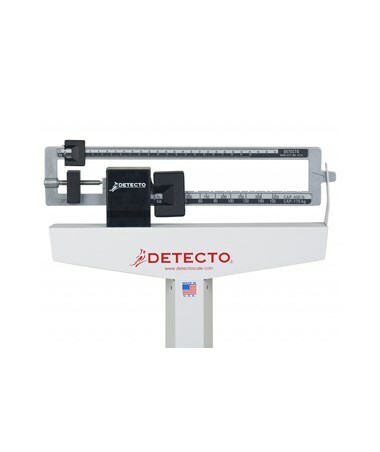 The dual-reading, die-cast aluminum on black insert weigh beam is easy to read and makes weighing simple and fast. 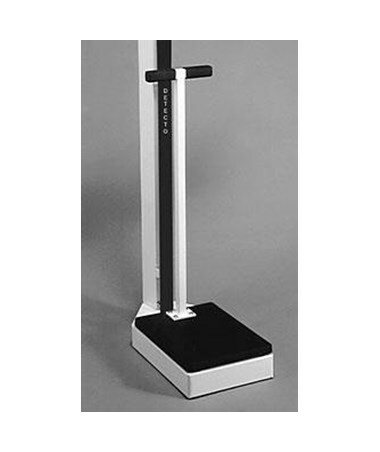 Its heavy-duty solid base increases patient stability while weighing. This scale is equipped with a height rod measuring between 30" - 78" and 76 cm - 200 cm. 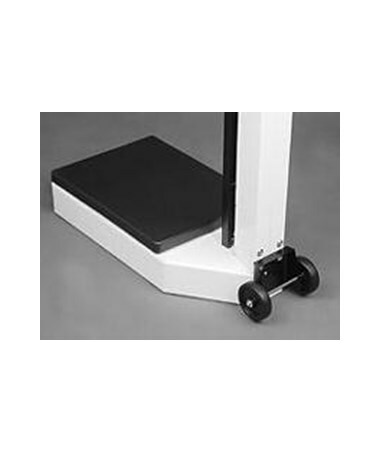 Rear wheels allow easier mobility of the scale. The handpost is a handy aid for individuals who can benefit from more stability while standing. 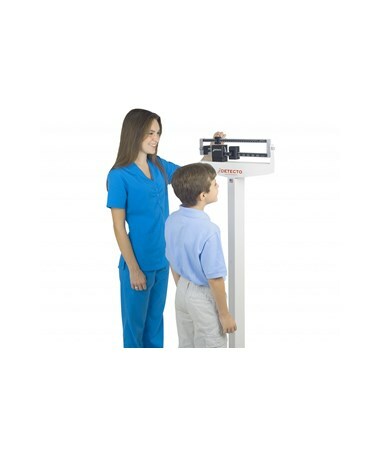 The 448 Eye Level Scale with Height Rod, Wheels, and Handpost weighs up to 400 lbs. but has increased capacity, up to 500 lbs. with optional counterweight. This scale is all American made for top quality. The Eye Level Physician scale is available in models with varying features, such as pounds or metric, wheels and handpost. Select model from the drop- down menu at the top right of the page.